The Derry Township Municipal Authority was formed under the provisions of the Pennsylvania Municipal Authorities Act in 1971. 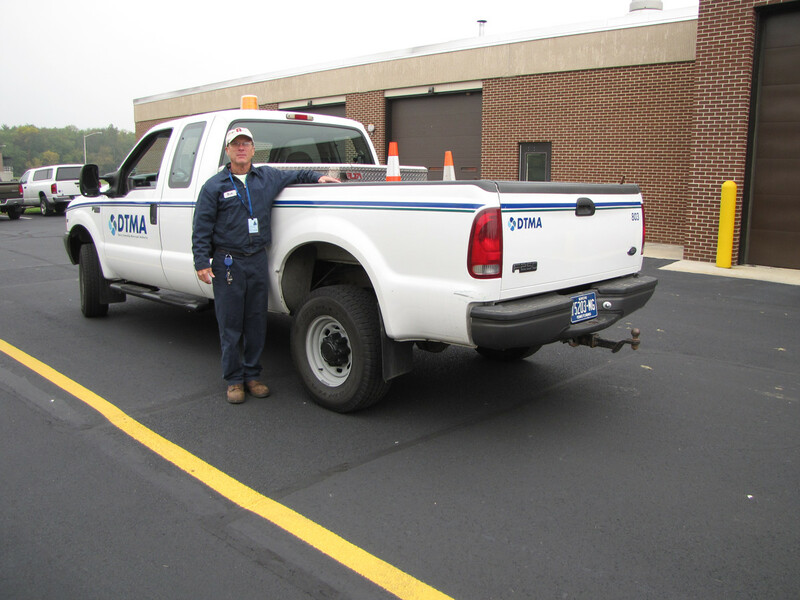 The Authority purchased approximately 29 miles of collection facilities within the Township of Derry from the Hershey Sewerage Company in 1973. Installation of additional sewers during the 1973 project and ongoing Authority extensions and developer installed sewers has increase the collection system to the current size. Today the Authority owns and operates two wastewater treatment facilities, fourteen wastewater pump stations, four meter stations, and more than 141 miles of sanitary sewers. The Clearwater Road Wastewater Treatment Facility with a capacity of 5.02 million gallons per day was placed into operation in 1977 and was expanded and upgraded in a project completed in 2005. The facility is located off Hersheypark Drive adjacent to the Swatara Creek. The Southwest Wastewater Treatment Facility with a capacity of 0.6 million gallons per day was brought on line in 1993. This facility is located off Swatara Creek Road in Londonderry Township. The Derry Township Municipal Authority’s service area presently serves six municipalities and an approximate population of 20,000. The municipalities include the Township of Derry, and portions of Hummelstown Borough and the Townships of South Hanover, Lower Swatara, Londonderry, and Conewago. DTMA is governed by a Board of Directors consisting of seven members. Members are appointed by the Board of Supervisors of the Township of Derry and serve five- year terms. Authority meetings are held at 6:00 p.m. in the Administration Building at 670 Clearwater Road. Welcome to the Clearwater Road Wastewater Treatment Facility and the Southwest Wastewater Treatment Facility. Wastewater is collected from the Township of Derry as well as portions of Hummelstown Borough and the Townships of South Hanover, Lower Swatara, Londonderry, and Conewago. Tours can accommodate 15 visitors and last approximately 60 – 90 minutes. You can schedule a tour by contacting the Operations & Maintenance Supervisor by email at msnyder@dtma.com or by phone at (717) 566-3237 Ext. 309. We also have the Wastewater Treatment processes in detail. Please note that the following schedule will be in effect for the DTMA septage receiving station for holidays. We are open Monday - Friday 8am - 4:30pm. Yes. A drop box is available at 670 Clearwater Road, Hershey to receive payments Monday through Friday from 7:00 a.m. to 6:00 p.m. On Saturday deposit can be made from 7:00 a.m. to 12:00 p.m. The box is located to the right of the main entrance door. What are DTMA's Sewer Rates? You may pay by credit card, personal check, money order or cash. The credit card payments may be made via telephone or walk-in. Personal checks are accepted through the mail, walk-in, or drop box. Cash is accepted via walk-in. To view payment options in greater detail go to Paying Your Bill. Yes. This feature is available by clicking on the Pay Bill tab at the top of the page. How often do I pay my bill? We bill sewer customer monthly. What is the penalty charge for a late payment? A five percent penalty will be assessed against the current unpaid charge on the sewer bill that is not paid within 20 days from the billing date. How do I report a billing problem? Who do I call when there is a sewage backup on my property? Property owners are responsible for maintaining their sewer laterals and building sewers. If you experience a backup, please call DTMA. During normal business hours (Monday – Friday from 8:00 am to 4:30 pm) contact (717) 566-3237 Ext. 303. For after hours and weekends call (717) 566-7928. DTMA will need to assess the situation and will advise you accordingly. Most sewer backups occur because the line is plugged with grease or roots or a combination of grease and roots. Backups are also caused by a sag (or belly) in the line or a sewer lateral that has collapsed. Never place anything in the system other than bathroom tissue. Products like baby wipes and rags and other products labeled “flushable” frequently cause backups because they do not disperse like bathroom tissue. What is that strange pipe in my yard that looks like a mushroom? That pipe is called a sewer cleanout. The cleanout and its removable cap perform an important function by allowing an access point to your sewer line for cleaning and maintenance. Make sure the sewer cleanout cap is in good shape and is on tight. Missing or broken caps allow yard waste, litter and rain water to enter the sewer lines which can cause backups. Can I connect a sump pump or roof drains to my sewer line? No. Connecting a sump pump or roof drains to your sewer line is prohibited because they direct excess water into the sanitary sewer line. The extra water takes up capacity in the sewer lines and at the treatment facility and can cause sewer overflows.